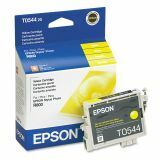 Epson T054420 (54) Ink, 400 Page-Yield, Yellow - Engineered to give you optimum photographic output, these UltraChrome pigment inks provide superior resistance to water, fading and smudging. Their wide color gamut allows for truer, more realistic pictures. 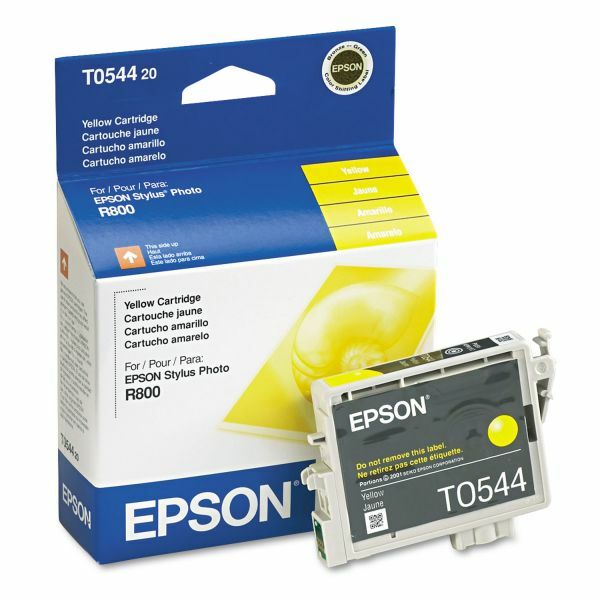 Designed for use with the Epson Stylus Photo R800 and Epson Stylus Photo R1800. Yields 400 pages at 5 percent coverage.